Monash IT research expertise covers all major areas of IT, from big data and analytics, to machine learning, cyber security, artificial intelligence, risk analysis and more. Our academics are at the forefront of researching and developing new technologies. We have a successful history of translating that research into practice for the benefit of our partners. Computing technologies are constantly evolving. If your organisation is facing a technical challenge or an ambitious goal without the in-house IT resources or capability to meet it, Monash IT's expert researchers can help to investigate and implement a new and practical solution. Whether you are a government organisation, big business, start-up or community organisation, collaborative projects are a cost-effective way to make the latest technologies accessible, build internal capabilities, implement best practice and get the edge on the competition. Monash University has a high international profile, renowned for producing groundbreaking research. Engage our talent. We have initiated and led remarkable discoveries, as well as successful start-up companies. We are keen to work with any organisation interested in commercialising research with us. Collaborating with Monash University on research projects means you can potentially benefit from considerable funding from the Australian government. There are several grant schemes available through the Commonwealth and Victorian State governments to support partnerships between academia and industry, and to encourage applied research. Come to Monash IT for any IT related solution, from simplifying and speeding up processes, to deriving meaning from big data, or ensuring that your data is secure. As new technologies emerge, we are at the forefront of state-of-the-art. If you are not sure how we could help, simply make an enquiry. Let's identify the best way towards a truly beneficial research partnership. 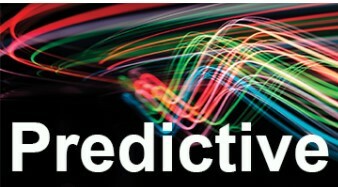 Sign up to Predictive, our industry newsletter. We will keep you informed on our research, our collaborations, and the latest developments in the tech world.